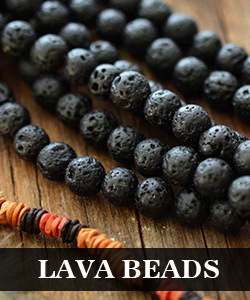 Summary: Looking for a homemade bead bracelet design? How about this red and yellow bracelet? 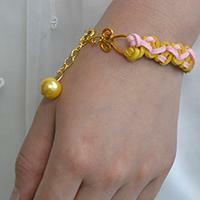 The following Beebeecraft tutorial will show you how to make this bracelet. As you can see from above picture, the colors of this beaded bracelet are very delight and beautiful. At many occasions, wearing the delicate jewelry can add to your personal charm and make yourselves stand out even in crowds. 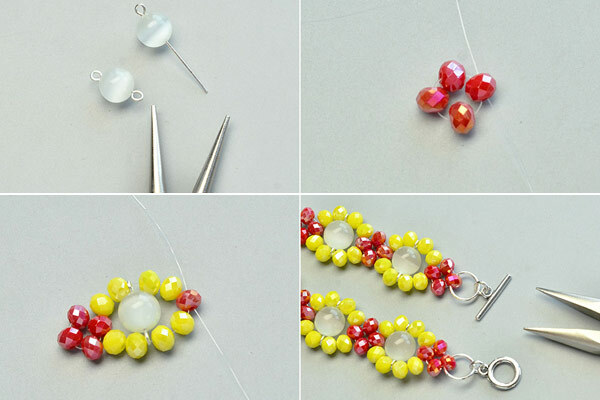 The instructions will guide you into a beautiful beaded bracelet pattern, let us start! Step 6: add jump rings through the hole of the beads of 2 ends, add the toggle clasp. Final piece of the woven seed bead bracelet! 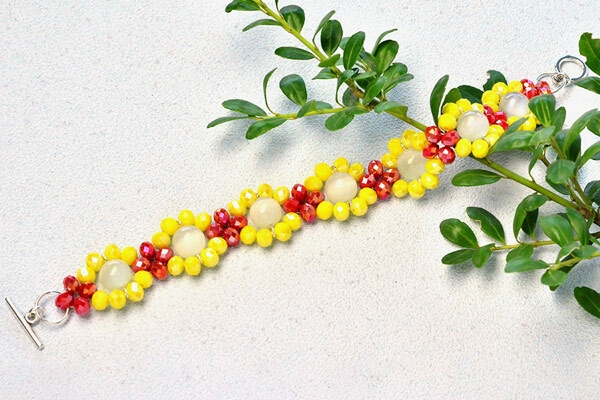 Wow, this red and yellow flower bead bracelet is done! 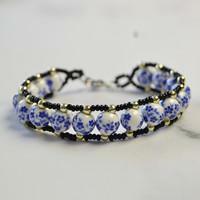 This flower bead bracelet is a popular pattern for homemade friendship bracelets. 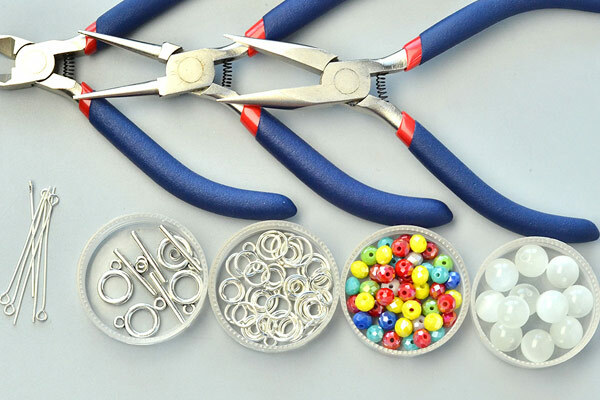 With different colors of beads, you can create a bright and unique bracelet.